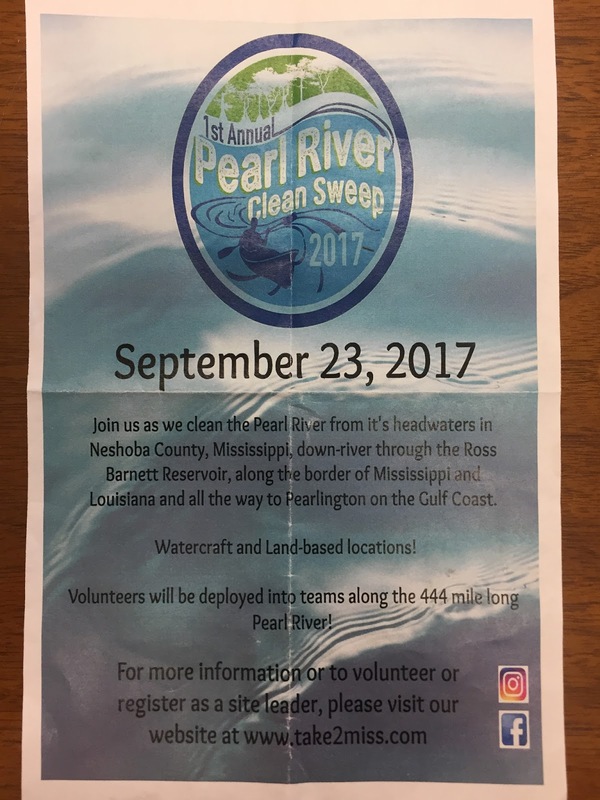 If you don't know about Pearl Riverkeeper, and the work it does to improve your environment, you need to read up on it here. The Inaugural Pearl River Clean Sweep takes place September 23, 2017. The event flyer is below. Volunteer, clean up, feel good, behold a clean river, and party. Afterwards, thank/patronize the sponsors.